Cauliflower isn’t the most exciting vegetable for most people, but it really does deserve a place on your grocery list. For one, cauliflower is a key ingredient in gluten-free recipes, including pizza crust and bread. The plain-tasting veggie is also incredibly versatile and can be used in paleo recipes (1). For what it lacks in taste, cauliflower certainly makes up for in nutrients. In fact, it’s full of vitamin C and K as well as heart-healthy and gut-healthy fiber. Its couscous-like texture is perfect for making baked goods like hash browns and cauliflower “rice”. 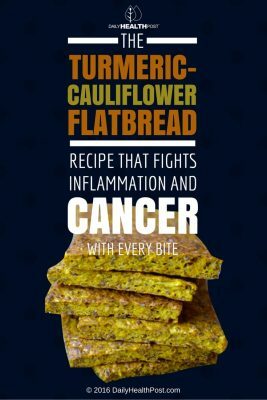 If you’re curious to see how great cauliflower can be, give this delicious flatbread recipe a try. Use it as a base for your favorite sandwich or snack. It goes great with ingredients like beets, mashed avocado, hummus, and juicy sliced tomatoes. 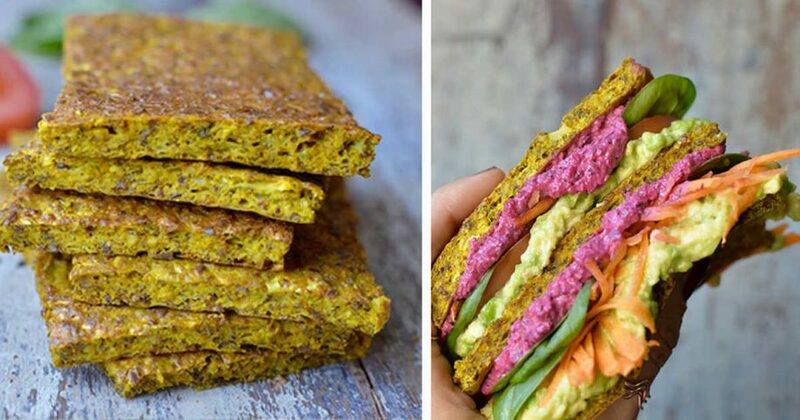 If you prefer, toast it and spread with almond butter for a tasty breakfast. 4 eggsIn a medium bowl, combine all the ingredients and mix well. Bake at for 30 minutes, or until golden brown. Cool completely and remove from tray. Slice the flatbread into 8 pieces and serve alongside hummus or a nice savory spread. Cauliflower contains anti-inflammatory and anti-cancer compounds like indole-3-carbinol (2). It also contains proteins that prevent kidney disease and high blood pressure (3). Almond meal is high in beneficial fats as well as protein. This means that it keeps you full and satisfied long after your snack (4). Almond meal works really well as a gluten-free flour option for baked goods like cookies, cake, pancakes, and cookies, but it’s also perfect for moist breads. If you can’t find it in your local natural health food store, make your own by placing raw almonds in a coffee grinder. Turmeric is flavorful, colorful, and incredibly medicinal. You can use it to soothe a sore stomach, fight inflammation to manage conditions like arthritis, and even improve your mental health. Plus, turmeric is great for countless other diseases and conditions, including diabetes. Better yet, turmeric has incredible cancer-fighting properties that can be used for prevention as well as a complimentary treatment.